This bar contains two Australian Grown (Northern Rivers of NSW) Types of Tea Tree oils. Firstly there is the standard Tea Tree oil but this is bolstered with a Lemon Scented Tea Tree oil. The effects are simple refreshing but also provide that protection for the skin and an antiseptic benefit. So we took these 2 prime ingredients, added both to our natural oils plus Australian Goats Milk, and the Lemon scented Tea Tree oil gives the bar a fresh tone. 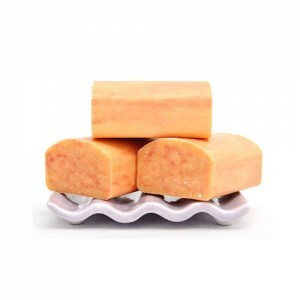 We have many Goats Milk Soap bars in our range all carefully created and handmade. There should be a few bars that you will enjoy! We look forward to hearing from you.